With dynamic performance and cabin comforts, the 2019 GMC Terrain is the perfect ride for the whole family. Choose from 3 turbocharged engines — including the standard 170-hp 1.5L turbo 4-cylinder — for power that suits your needs. After you’ve filled up the 63.3 cu. ft. of cargo space in the cabin, you can haul up to 3,500 lb. when you opt for the 252-hp 2.0L turbo engine with 9-speed transmission. * And, with available leather-appointed front seats, you’ll always be driving in premium comfort. 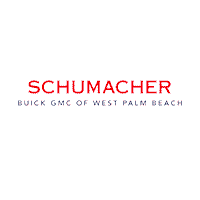 Test drive the 2019 GMC Terrain in West Palm Beach, Florida.